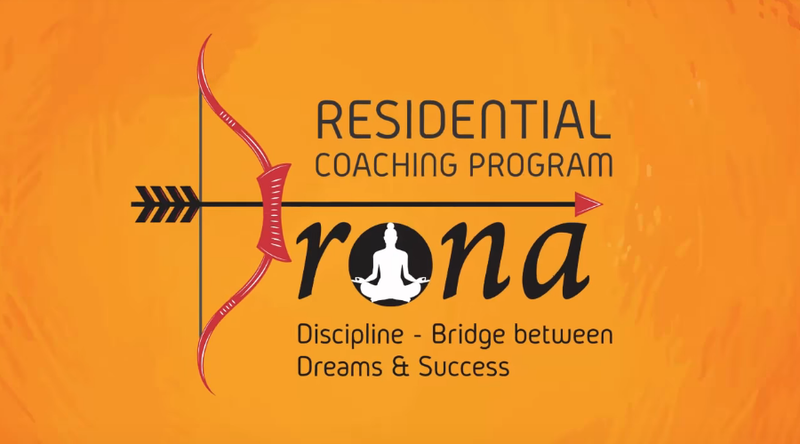 Drona is a residential program started with an aim to provide all the facilities to students who are coming to Kota for the preparation of IIT/Medical under one roof. 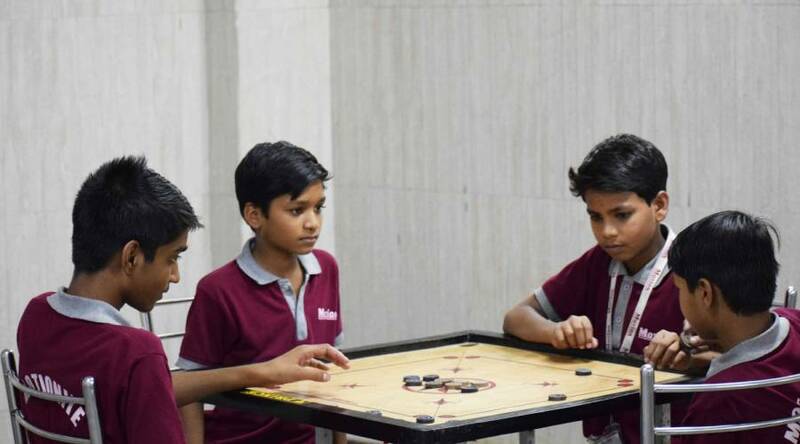 It is started with a single purpose to ensure that students get maximum learning environment under the supervision of mentors who not only make sure that they are studying but also clear their doubts if they have in any subjects, the hostel in-charge makes sure that students are not only excelling academically but also giving some time to non academic activities which are very much essential for their overall development. Mess facility is available and adheres to the highest standard of hygiene . The staff at the mess takes daily attendance and makes sure that all students are taking proper meals. Medical facilities and psychologists are available 24 * 7 to ensure the student’s well being around the clock. 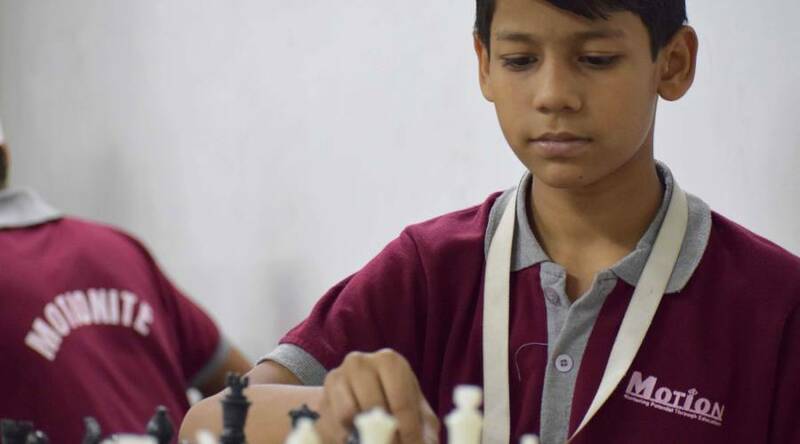 This is one of the best residential programs for your child in which he/she would feel the comfort of home and excellent mentor ship for competitive exams. Coaching, school support, accommodation & food facility under one roof. Self study & doubt clearance facility under the supervision of faculties. Parents teacher meeting at regular intervals. Individual attention and personalized counseling for academic performance improvement. Strict information system to provide student’s test results and attendance through SMS. Motion Solution Lab facility for revision and doubt clearance through video lectures. Special motivational and informative seminars for keeping students energized and updated. Exclusive workshops for Olympiads and competitive exams like NTSE, IJSO, KVPY etc. Furnished single occupancy air-conditioned rooms. Yoga, indoor & outdoor games under expert supervision to maintain mental & physical health along with studies. Hygienic food which includes seasonal vegetables, fruit, juice, milk, etc.u 24 hour medical assistance & transport facility, available for emergency cases. Fully secure campus under CCTV vigilance and bio-metric attendance system for moving in & out of campus. Room cleaning, laundry, outings, motivational movies are arranged to keep the students entertained. Any information regarding courses, fee structure, class schedule, class venue, syllabus, brochure etc. is available at MOTION campus. Purchase and filling of application form can be done either from any center or online by paying for Rs. 1000/- for JEE & NEET and Rs. 500/- for Early Lead Division. Form submission: Student’s can submit the application form in person or can also send duly filled application form at center. Students are needed to affix one passport size latest photograph on it. In case if a student is qualified for any scholarship they are needed to enclose the supporting documents, also they need to submit the mark sheet of 10th class or 12th class (if applicable) along with one photo ID proof of student or parent with application form photo ID may include Aadhar Card, Passport, Driving License or Voter Id card. 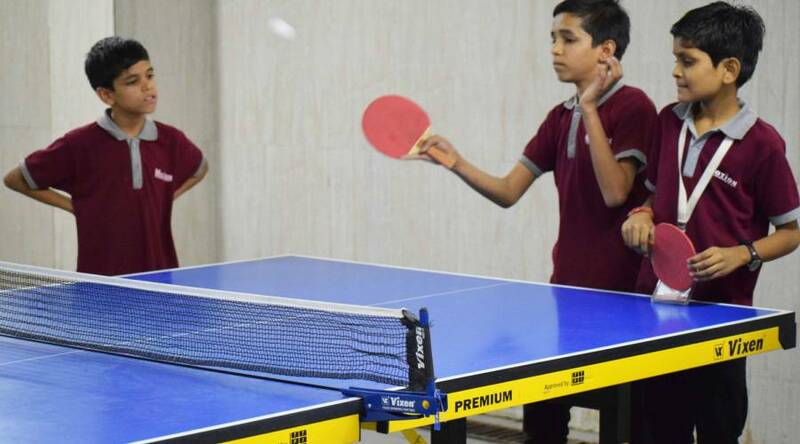 DRONA Fee includes – Coaching fee, school fee, accommodation ( single occupancy AC room) and food. (II) In case student opts for Double Occupancy AC room, Rs. 25000 will be deducted from above-mentioned fee & then the scholarship will be calculated. Kit includes study material, T-shirt, bag, umbrella, and hoodie. For technical up gradation student can purchase MOTION Edu-Tab by paying an additional fee. The month of registration will be the month in which Advance Registration Fee (ARF) is deposited and fee of that month will be the final fee. Advance Registration Fee: Rs. 50000. Students enrolled in courses with schooling, will have to pay additional for registration of Boards, Olympiads, and other competitive exams. Advance Registration Fee (ARF) is non-refundable. Ist Installment has to be submitted before course commencement. A student can avail only single scholarship in one academic session (whichever is higher). The penalty will be charged if installments are not paid on or before due dates decided at the time of admission. Hostel facility includes Accommodation, Breakfast, Lunch, Dinner, Laundry, Transportation, and Cleaning. Room Cleaning will be done once in a day. Security amount will be equal to one month’s hostel fee. Security amount will be refundable after 10 months only (After completion of the academic session), students have to inform this to the warden before one month. After selecting the room, it will be the responsibility of students to take care of furniture & other things. After this, if there will be any damage in the room student will be responsible for this. The penalty of Rs. 2000/- will be charged, if anything will be written/pasted on walls & furniture. Warden will try to give you good services. If in case of lift, AC, Geyser, Generator breakdown, students suppose to co-operate with warden until the time it repairs. In one month 60 clothes are allowed for Laundry, more than 60 clothes will be on additional charges. Woolen & Dry-cleaning will not be acceptable. Warden & Washer man will not be responsible for any damage caused by laundry clothes. For Medical help, the student can contact to warden at any time. All the expenses of medical treatment will take care of students only. Main Door will be closed at 10 PM every day. Students, who come in the hostel after 10 PM will be allowed after informing their parents on register number. 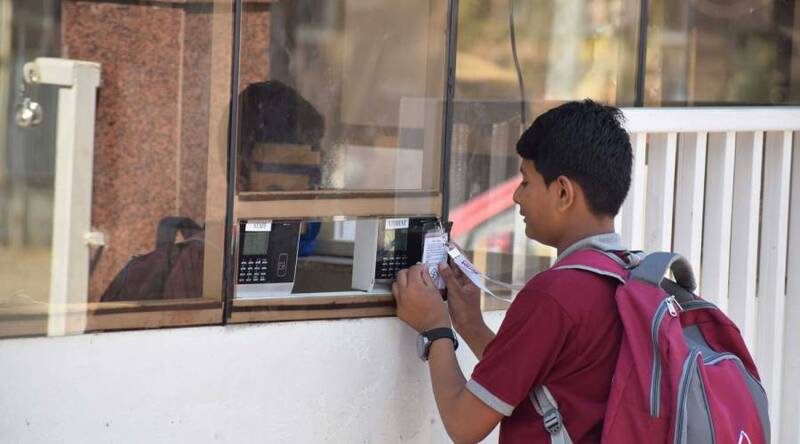 Students have to make an entry in the register at the time of every entry & exit from the hostel. If students go out without information, warden will not be responsible for anything. This rule is made for discipline & security point of view if students found not following the same, the warden will be authorized to vacant the room and seized the security amount. This is the responsibility of every student to turn off all the water tap & Electricity Switches. If it’s found on, there will be the penalty of Rs. 500/. Admission in the hostel will be counted from date 1 month. The student can vacant the room until last date of the month. Hostel fee will not be counted according to the days.